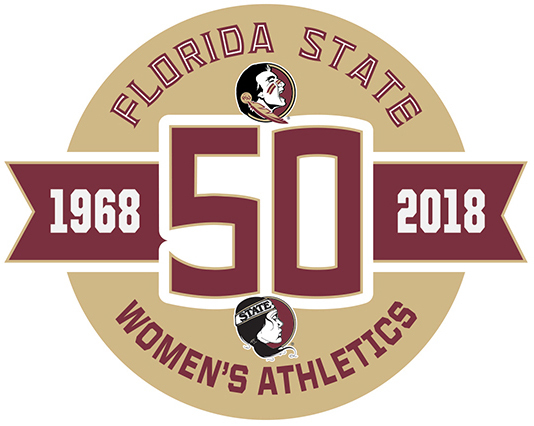 Seminole fans and supporters, sports enthusiasts and community members will enjoy an afternoon with FSU coaches, former and current student-athletes, and longtime Seminole supporters in celebration of 50 Years of Women’s Athletics. The Garnet and Golden Finale will wrap up a successful year of fundraising for women’s athletics at FSU! A month-long online silent auction will take place leading up to the Finale where proceeds will directly support the Coaches' Clubs for each women's sport at FSU. Coaches Club funds provide funding to each sport team for needs that are not or due to regulation, cannot be covered in the sport's annual operating budget. SILENT AUCTION BIDDING IS NOW OPEN! Can't attend? You can still make a donation to FSU Women’s Athletics by clicking here.